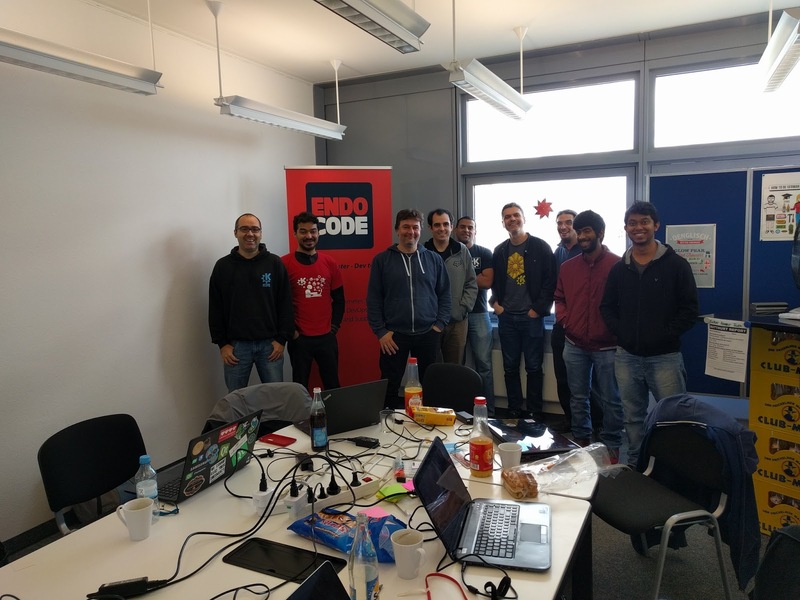 Between the 7th and 9th October the KDE Edu team met in the Endocode offices in Berlin to work on and plan KDE's educational software. We split up the work into three general areas: organization, infrastructure and coding. The KDE Edu team is diverse in that there are different people interested in different tools. A sprint such as this one is the ideal meeting place to work on making sure that we are headed in the same direction. We discussed the website and how we present our projects to the outside world. We also covered improvements to our usage of Phabricator and our roles on the different goals we set for ourselves. We wanted to make sure all our members are aware and on board with them. One of the interesting perks of having your project in KDE, besides meeting amazing teams such as ours, is that we can provide you with tools that will benefit the rest of KDE software. You can find educational software users on every platform, and we don't want to leave anyone behind. That's why we spent some time figuring out how to make sure our applications would also reach Windows and Android in the best of conditions. We also looked into our Flatpak packages to discover what the showstoppers are and to make improvements. At some point we will be able to offer fresh and stable versions of our software right into everybody's device. And of course, we coded. Meetings are great for discussions, but it's also nice to be able to sit with your friends, in front of a laptop with a warm coffee, and start looking into the issues that have been holding us back. We pushed improvements for Cantor and its integration with several languages, we released a new version of KTuberling for Android, and a new GCompris version for classrooms. We worked on Marble's routing features and got Minuet running on Windows. All in all, the sprint helped us push forward and overcome some crucial roadblocks. Now the apps in KDE Edu are better than ever.